We have, in cooperation with our sister-company City-Steuerberatung, been engaged by artists, diplomats, entrepreneurs, investors, IT-experts, writers and other individuals and companies from various foreign countries to resolve easy and sometimes very complex tax-issues. You will find a handful of examples at the bottom of this page. In our practice we have dealt with double-taxation-treaties with China, most EU-countries, Hong-Kong, India, Saudi-Arabia, Taiwan, United Arab Emirates, USA. If you want to learn more about our expertise and our ability to assist you please feel free to call us at +49 40 734357910 to discuss your issues and our expertise for your case. As a former partner with Price Waterhouse and PwC PricewaterhouseCoopers, our founder and CEO Berthold R. Metzger has been living for almost four years in New York and has travelled some countries in the Arab and Asian region which often helps to better understand the needs and expectations of our clients. Listening – Understanding – Resolving – this is our Credo. Profound tax consulting requires individual and detailed sampling of all facts and circumstances. As there is a variety of problems and situations and almost each case is different, the solution has to be different accordingly. A thorough look into details is particularly important when different tax-regimes are involved, since the double-taxation treaties may often follow a general threat, however, they can be very tricky in some details. Naturally – tax skills are of great importance. However, they can only be of real benefit to the client, if they are accompanied by a sense for economic solutions and an ability to say or suggest „No“ if the situation requires it. The sharpest and complex solution to achieve a particular tax-benefit or another economic benefit is worthless, if the efforts and means to construe and achieve such a result do consumate almost the whole (potential) benefit. Our understanding of advise is not that of an olympic contest for the last cent, yet it should be characterized by economic thoughts. Efforts are only worth the action, if the benefits succeed the costs significantly. If you can get to like this view on our consulting- and advise-strategy, we should be very happy to discuss your case with you and gain you as valued client. An investor from Saudi-Arabia wanted to divest his wealth and had decided to acquire a real estate property as a first step for a series of investments in Germany. His first target was either a 36-flat apartment building in the proximity of Hamburg or a medium-sized hotel in Hamburg-Altona. Our duty was to calculate the expected annual tax-burden and resulting net-profit under consideration of a renovation-backlog in the apartment building and a significant portion of the investment to be financed by a bank-loan. A very famous novel-writer was married to a US-diplomat. Her career started more than 15 years before her husband and she were relocated to Berlin. By then she had written quite a number of books and movie-scripts when living in several Asian and African countries where he had served for the US goverment. Whenever completed, the book-rights where licensed to different publishing-houses in China, Taiwan, France and UK. Upon moving to and residing in Germany, a lot of tax-questions came up. How was the licensing of new book-rights to a Chinese publishing house to be treated under VAT-rules? How would the competition of the German world-wide-income-concept be resolved against the claims from those countries, where the books had originally been written and license-agreements been entered in the past? Considering these issues, the treatment of their rental-income and interest from some investments in China and USA and that of the salary as a diplomat was comparably easy. A former German national, now in second marriage with a German national, became a naturalized US-citizen in the late 1980ies and made quite a fortune resulting in several real-estate properties in the US, Mallorca and Germany, a shared interest in a company founded in Mallorca and some participations in US-companies and last but not least shares in NYSE-registered corporations and a significant amount of cash-investments in Spanish and German bank-accounts and some antiques collected in their finca. The couple spent the majority of their time in their mallorquian finca and were not sure if they had correctly fulfilled all their tax-duties in the different jurisdictions in the past. This questions gained importance, since his wife was by far younger than him and he wanted to make sure that everything was in clean order should the inheritance-case occur. Furthermore he wanted to clarify under which jurisdiction the inheritance-tax was minimal. Since this analysis revealed heavy differences between the three jurisdictions and the current situation was quite disadvantageous, the next question was what could be done in the near future in order to lower the inheritance tax by a significant amount? An Indian engineer was working for Siemens in their Indian facility in Mumbai. In fall 2012 he got promoted resulting in a move to Germany at mid November 2012. His Indian wife followed early January 2013. Moving expenses were covered by the employer and paid partially tax-free and partially as additional taxable income. Even though the expenses incurred partially in 2012 and partially in 2013, the reimbursement of more than 10.000€ was paid fully in May 2013. Furthermore, in March 2013 a late bonus at a significant amount was paid from the former Indian employer for the work performed there until November 2012. Also he could not shortly terminate the lease of his flat in Mubai and had to pay the rent until the end of April 2013. Finally he received interest-income from his Indian bank-deposit. Could the Mumbai-rent until April 2013 be tax-deductible in Germany and could the late bonus be tax-free in Germany, considering the Indian tax-year running from April 1 to March 31? How was the non-matching reimbursement in May 2013 for moving-expense in 2012 to be treated and was he eligible for double-household-deductions and for which time? E) A US-Corporation Under German Regulation? A young US software-expert developed quickly into the elite of his particular field of business. He was engaged by one of the largest US corporations to oversee and permanently improve their selling homepage in the internet, however, their particular hiring and engagement-policy required, that he had to found a S-corporation and deliver his services under this umbrella. The monthly earnings were certainly worth this effort. Earlier – before establishing his one-men-business-company, he had terminated an unsuccesful business-partnership with another IT-expert leaving him with a six-digit debt with the bank. The monthly payments were tax-deductible in the US under the particular circumstances and everything was going quite well. He was married to a German national. After a while, the situation of the wife’s family changed and the couple decided to move to Germany for personal reasons. This was technically not a problem, because theoretically he could do his programming-work from every place in the world. However, how would the new situation be treated taxwise? Can a one-man-S-corporation in the USA be controlled from Germany? Where is the (tax-)source of the income? 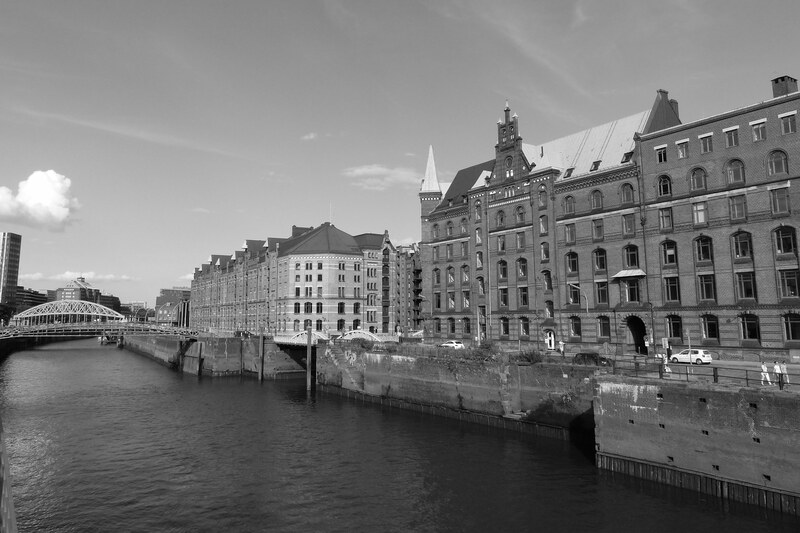 Will the German apartment be considered a commercial unit of the S-corporation? Is a commercial registration necessary in Germany? Will the repayment of the loan still be tax-deductible? © 2016 PW AG Wirtschaftsprüfungsgesellschaft.